BOSTON — U.S. Food and Drug Administration officials plan to investigate whether inhalable caffeine sold in lipstick-sized canisters is safe for consumers and whether its manufacturer was right to brand it as a dietary supplement. AeroShot went on the market late last month in Massachusetts and New York, and it’s also available in France. 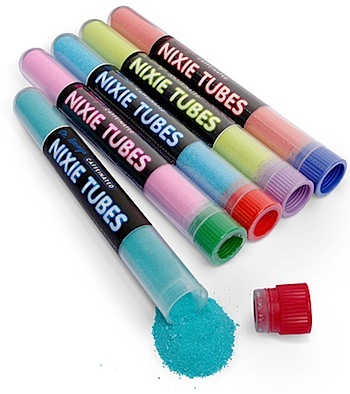 Consumers put one end of the gray-and-yellow plastic canister in their mouths and breathe in, releasing a fine powder that dissolves almost instantly. AeroShot’s inventor, Harvard biomedical engineering professor David Edwards, said the product is safe and doesn’t contain taurine and other common additives used to enhance the caffeine effect in energy drinks. AeroShot didn’t require FDA review before hitting the U.S. market because it’s sold as a dietary supplement. But New York’s U.S. Sen. Charles Schumer said he met with FDA Commissioner Margaret Hamburg, and she agreed to review the safety and legality of AeroShot. “I am worried about how a product like this impacts kids and teens, who are particularly vulnerable to overusing a product that allows one to take hit after hit after hit, in rapid succession,” Schumer said. Tom Hadfield, CEO of Breathable Foods, which makes AeroShot in France, said in a statement that the company will cooperate with the FDA’s review to address the issues raised by Schumer and are confident it will conclude that AeroShot is a safe, effective product that complies with FDA regulations.